View from the front of the house. Unit A is in the front. Master bedroom with King bed on the ground floor. Small patio for storage to the right. 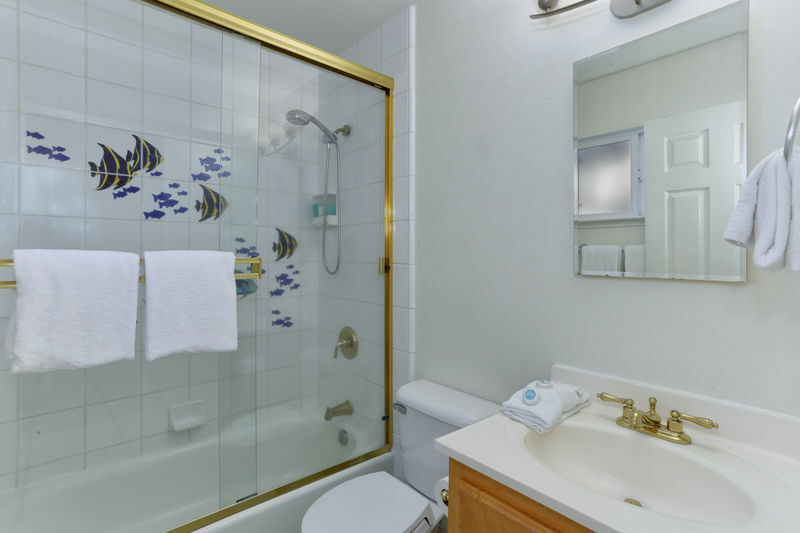 Full size bathroom with stand-up shower attached to the Master. 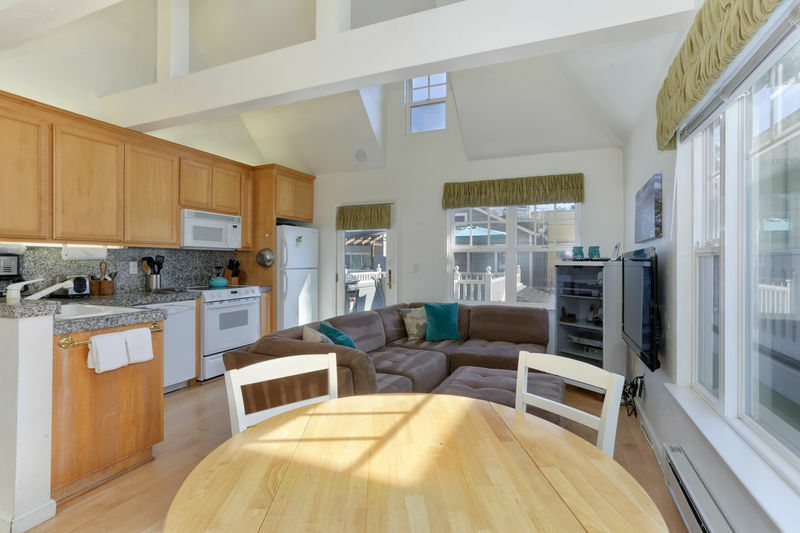 Upstairs is the open floor plan living area with vaulted ceilings and ceiling fan. Dining table seats 4 guests. Fully stocked kitchen. 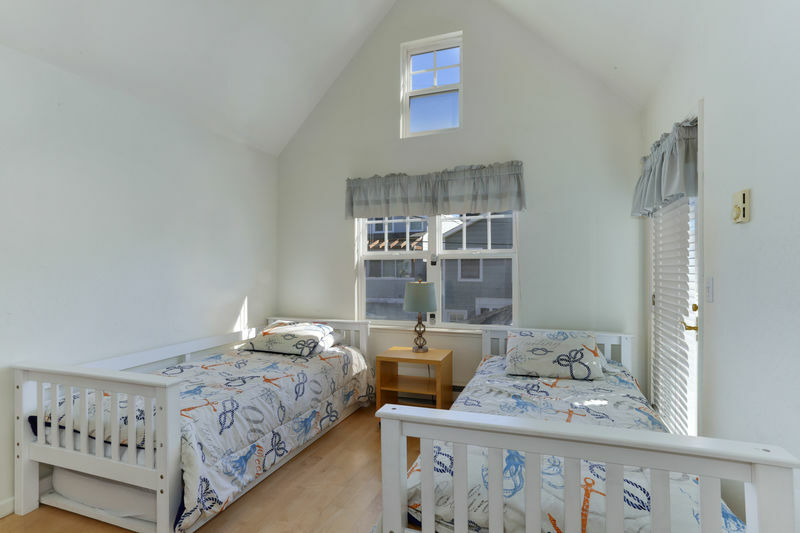 Second bedroom upstairs with 3 twins. The 3rd twin is underneath the bed on the left for guests to roll out in between the 2. 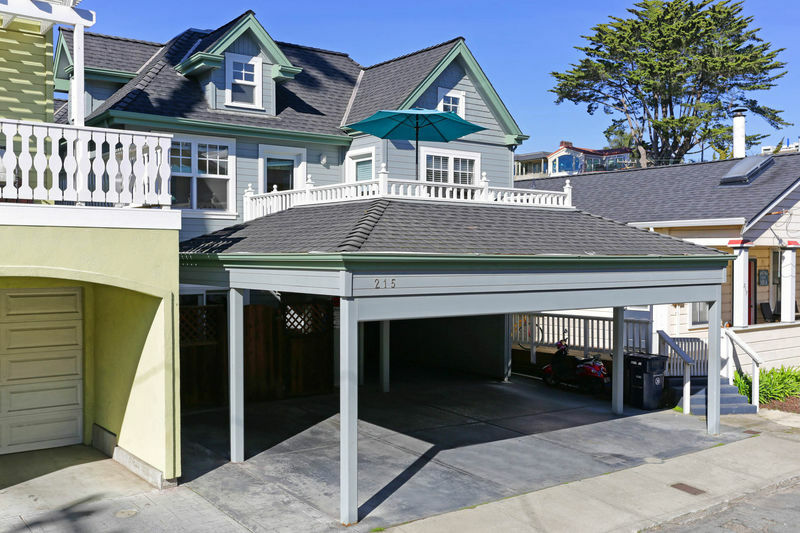 Spend your Summer vacation at this beautiful beach house! 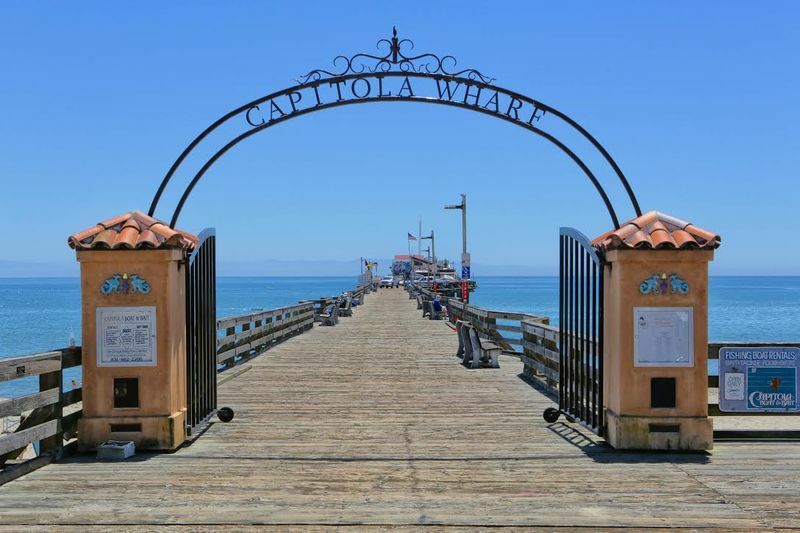 Welcome to the Capitola Village Retreat beach house! 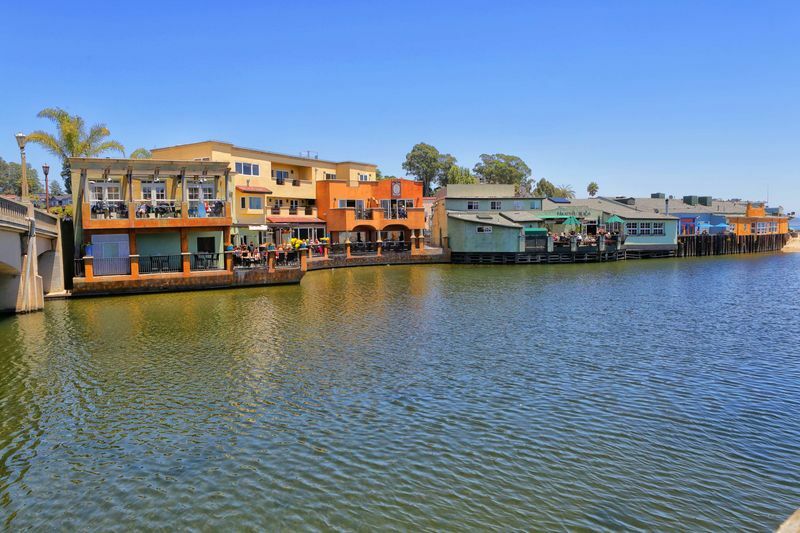 This townhouse is located in the heart of Capitola Village. 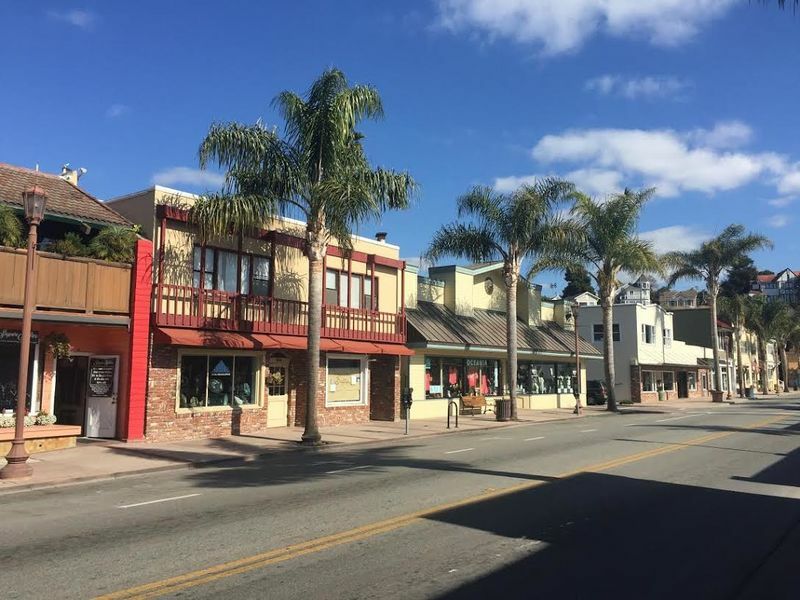 Just one short block away to Capitola Beach and steps to the shops and restaurants in the Village, this charming 2-bedroom, 2-bathroom dog-friendly condo is perfectly situated to enjoy the pleasures of Capitola Village. 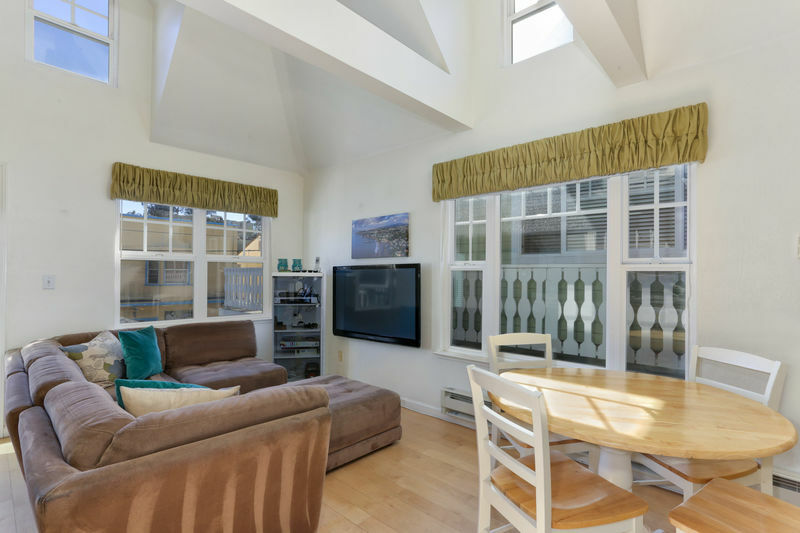 This comfortable vacation rental is complete with a spacious deck with propane BBQ & sitting area off the kitchen as well as the convenience of private parking for one car in the attached carport, 2 large flat screen TVs and Wireless Internet. 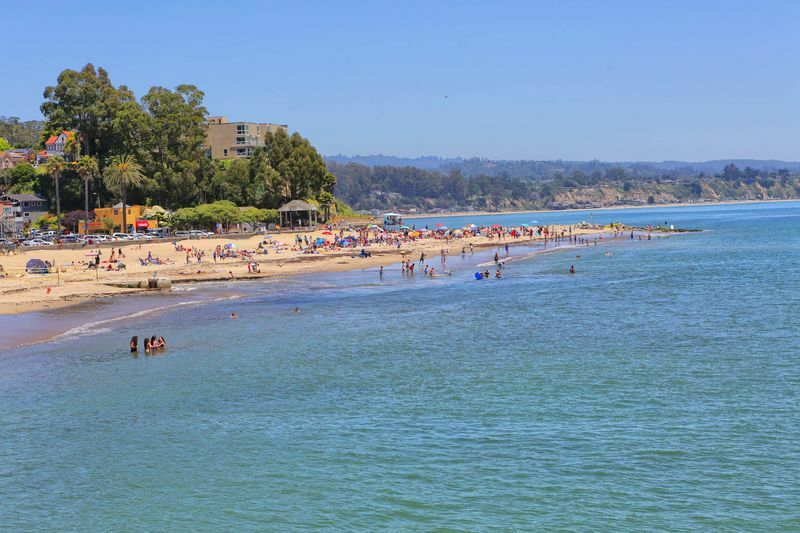 Perfect for couples or a family of 4-5 to spend their vacation in Capitola Village. 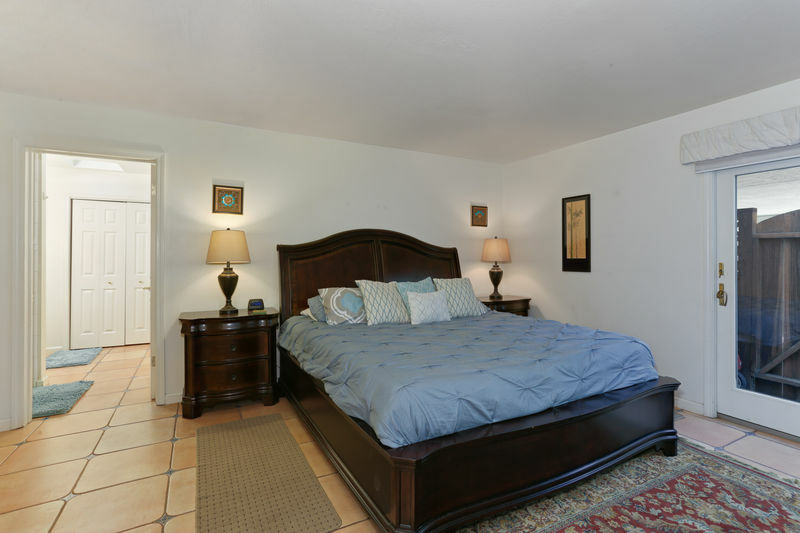 A wonderful place to pick up your feet and relax, enjoying all the comforts of a home. Spend time reminiscing on your second story deck with access from the kitchen. Gas BBQ grill provided for your entertainment pleasure on the deck! Whether you're here in the Summer or the Winter, it is always the perfect temperature to enjoy this outdoor space. 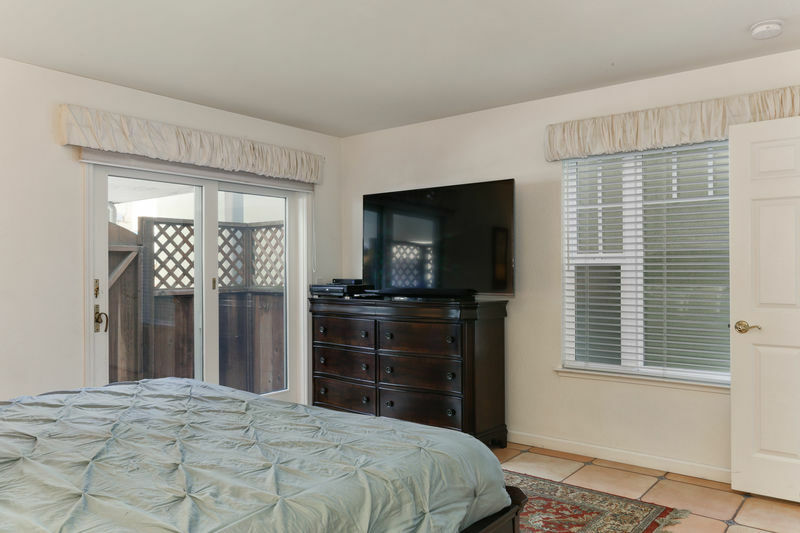 The master bedroom is located downstairs and has a king-size bed with a large flat screen TV and a private full bathroom with a stand-up shower. 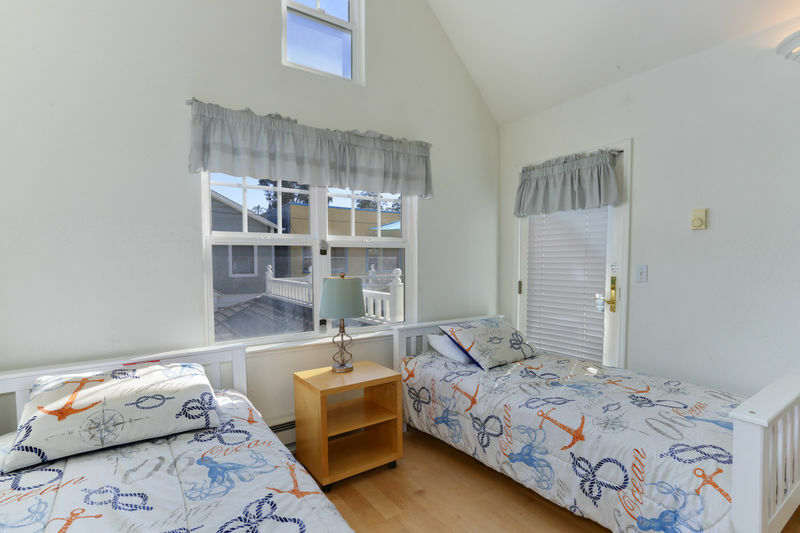 The bedroom upstairs has two twin beds with one roll-away twin bed underneath one of the beds. 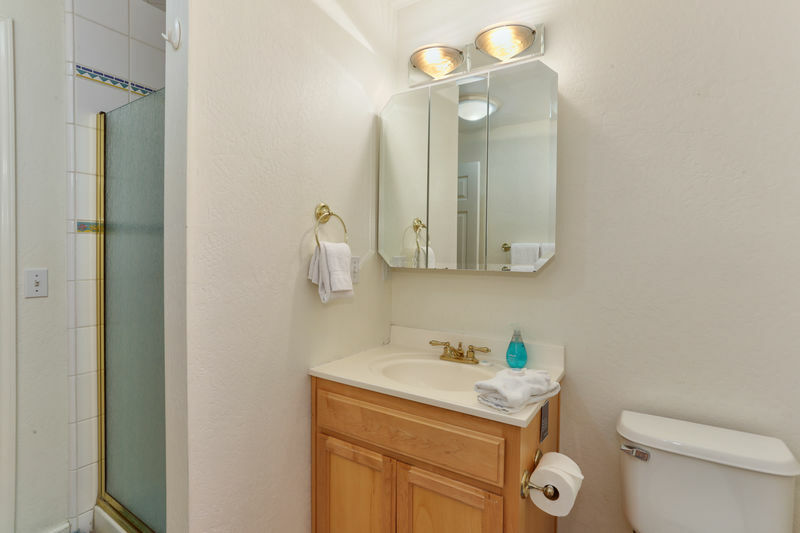 There is a second bathroom upstairs with a bathtub and shower. The open floor plan in the family room upstairs has vaulted ceilings to provide natural light and a bright, open feeling. Seating for 4 around the dining table. This beach house has 1 King bed and 3 Twins to accommodate up to 5 guests. 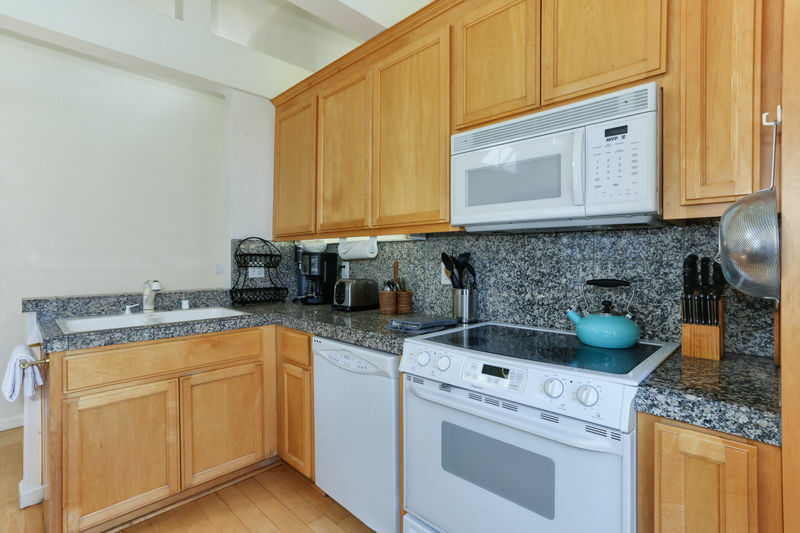 This condo is fully-equipped and ideally located to give you the quintessential California beach vacation! 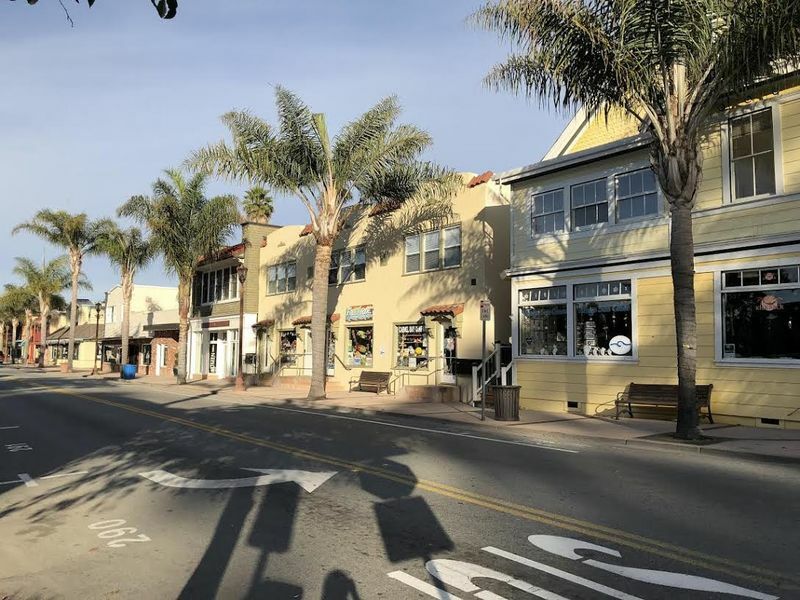 The reserved parking space makes it easy to get in and out for day trips to experience all the local and secret spots in Santa Cruz or spend a day trip out to Monterey!